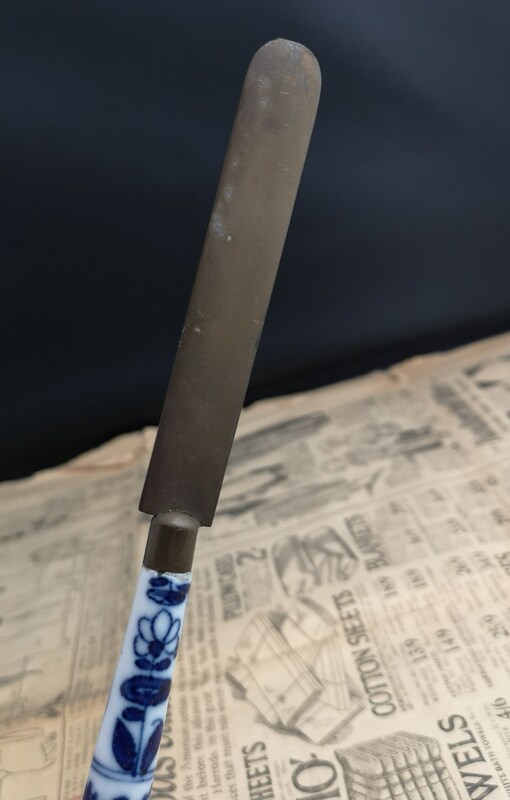 A beautiful antique, late 19th century Chinese paper knife. 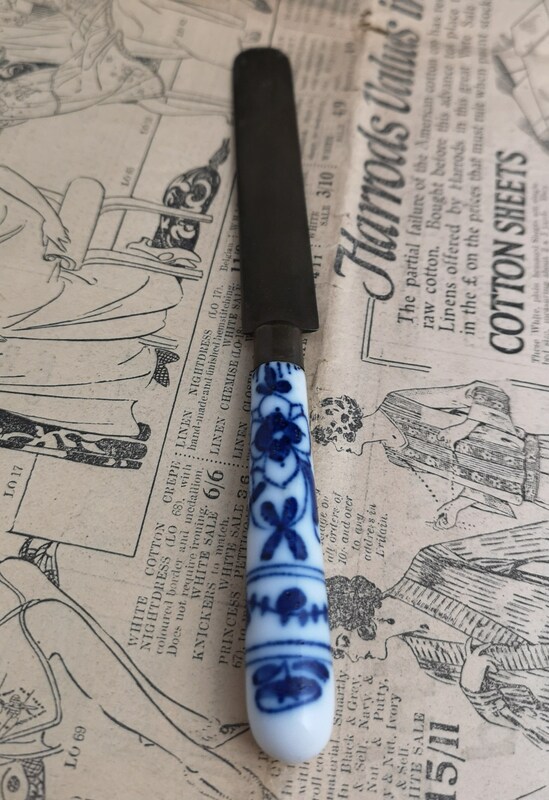 It has a blue and white ceramic handle decorated with naive floral patterns and a bronze ferrule and blade. 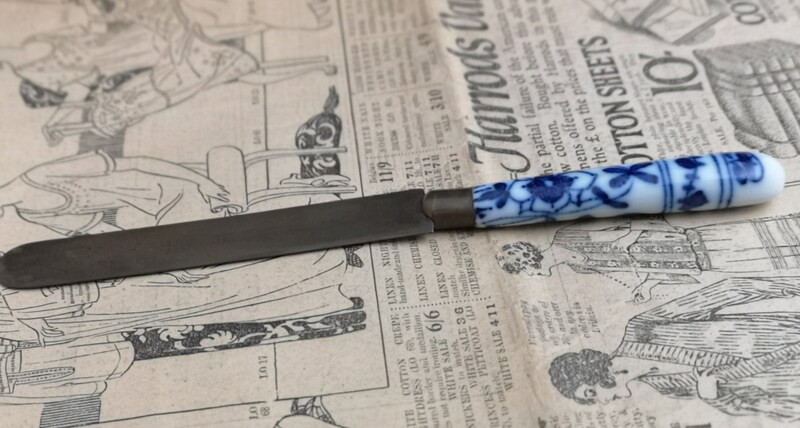 The blade is rounded off at the end, these types of blunted paper knife are often mistaken for page turners but they are for delicately cutting paper. 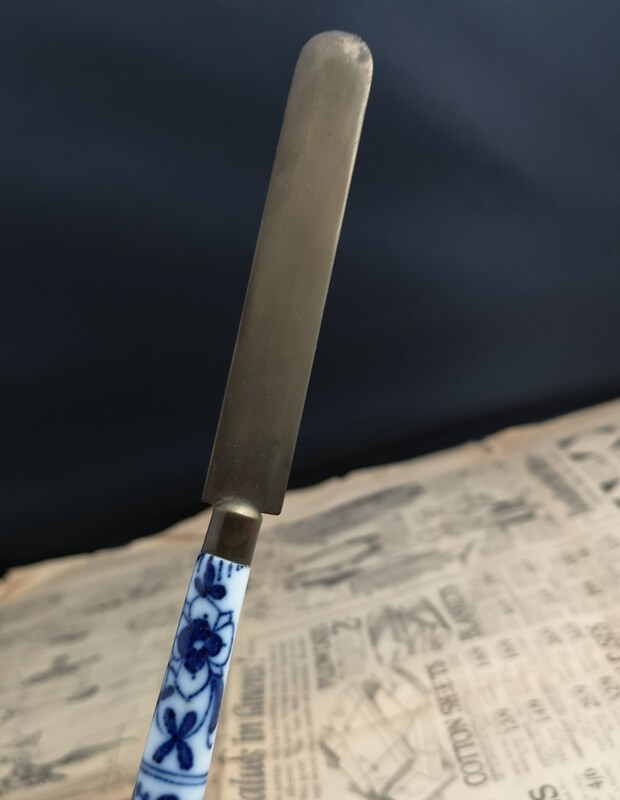 Many unread books and manuscripts in the 19th century were 'sealed' the pages needed to be sliced open at the ends to reveal the pages of text. 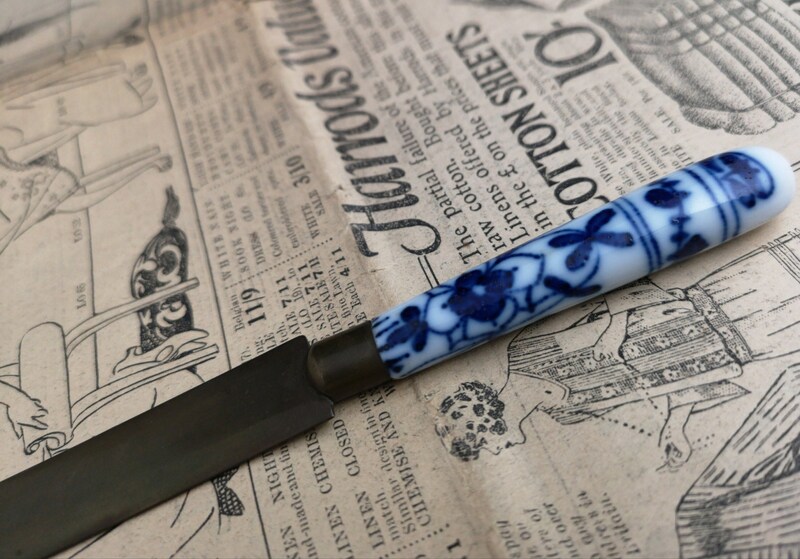 A very pretty paper knife, Chinese origin imported into England in the late 19th century c1890's. 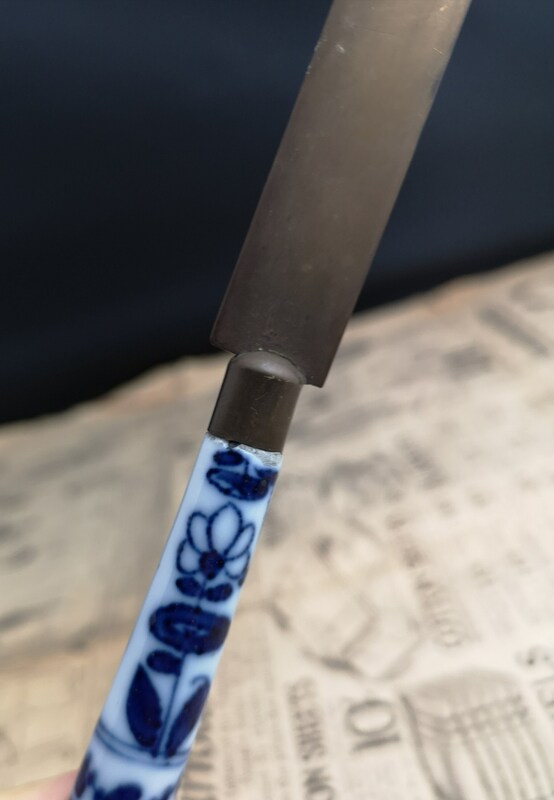 Some looseness of the blade and a small chip on the ceramic see photos, lots of lovely aged patina to the bronze. 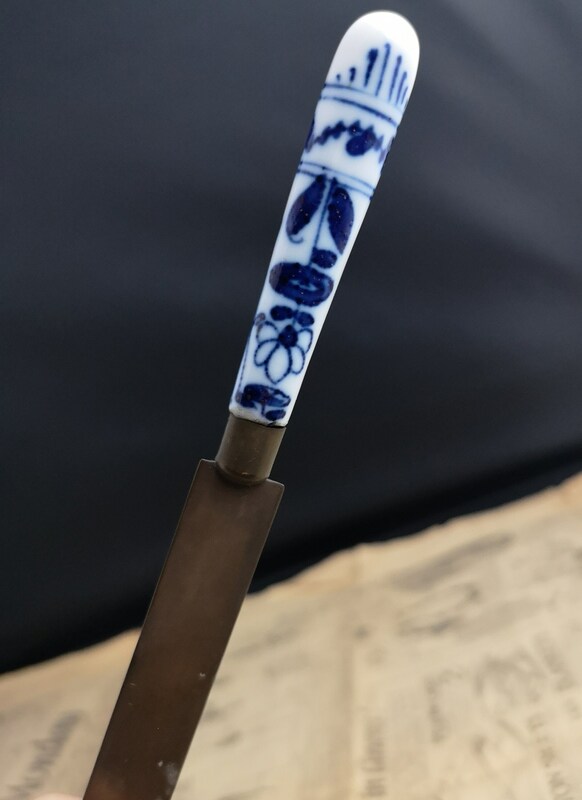 Approx 6.5" length and just under 1" width.